Become a customer and start to see the benefits and simplicity of the Star Micronics Fitness and Health Club printing solution that so many are enjoying already. Star receipt printers offer low impact "drop-in and print" paper loading with high performance and reliability providing years of printing satisfaction. Reduce and trim down costs by utilizing ECO Features of the TSP100ECO printer to save power and receipt paper up to 75%. Maximize your counter space by mounting the FVP-10 beneath your countertop, or duplex other POS hardware on top of the FVP-10 platform cover. Start exercising your receipt printing options with a Star printer today! TSP100ECO – The TSP100ECO is the first all-in-one receipt printer on the market today! It is provided with a USB connection that provides an immediate "Plug&Play" installation which reduces the time of integration to minutes. Maximize your gyms savings with power and paper savings of up to 75% by using the TSP100ECO printer. TSP100III Series – As an upgrade of the TSP100, the TSP100III series is the faster, easier, and better solution for point of sale receipt printing. The TSP100III is offered with WLAN, LAN, Bluetooth, and USB connectivity options for small yoga studioes or franchise fitness centers. With high-speed printing of 43 receipts per minute, "drop-in and print" paper loading, and a de-curl mechanism to print smooth, flat receipts, fitness employees can keep check-in lines short, allowing guests to get in more workout time! FVP-10 – mega fast thermal receipt printing. 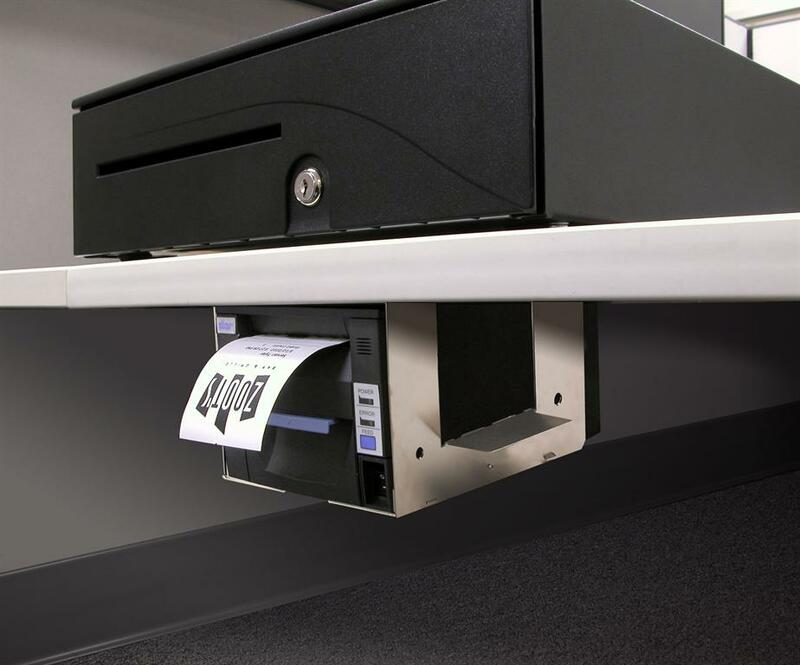 This is your printer solution for space savings - mount printer beneath the counter, stack other POS hardware on top of the printer while providing a voice message to your customers. TSP650II – the ultimate value in thermal receipt printing. This high speed, low cost direct thermal printer offers many of the features found in more expensive printers. Full graphics and barcode printing support is standard! The TSP650II also features recessed cable connections to for increased reliability for the life of your printer.